This is undoubtedly the most basic seasonal beverage, but nonetheless it should still make the list! A PSL is something that is hard to pass up come fall, even if you only indulge once or twice. Treat yourself… who cares if it’s basic! Blanket scarves have been popular fall accessories for quite a while now, and it doesn’t look like the trend is going to die out any time soon! Paired with a cozy cardigan or a vest, a blanket scarf is the perfect way to keep warm in fall weather when it’s not quite cold enough to wear a coat, but not warm enough to go without any insulation. The best place to get these scarves on campus is by far Apricot Lane. They sell ones made from high-quality fabrics in a variety of different sizes, all for reasonable prices. There is something so exciting about wearing tall boots for the first time in the fall, especially after a long, hot and humid summer! They are the perfect complement to almost any outfit, including jeans, leggings, dresses and skirts. They also come in so many different styles, so whether you prefer riding boots, high heeled boots, lace-up boots, or over-the-knee boots, you’re sure to look stylish while remaining functional for all of your daily activities. The fact that anything pumpkin spice is basic has been well established, but that doesn’t mean this list of favorites is stopping after just one pumpkin-flavored item! If you’re a fan of Greek yogurt, Chobani has a line of yogurt cups with toppings that make for a delicious and filling snack or breakfast. Come fall time, look out for the orange container hidden among the brand’s other flavors, because this is perhaps one of their best options! Pumpkin spice yogurt may sound a little funky, but it’s actually very subtle and delicious. The pieces of pie crust, roasted pumpkin seeds, and pecans give it a rich nuttiness that makes it an amazing fall treat. 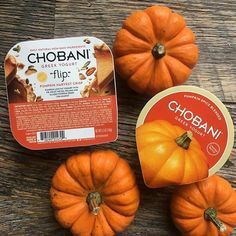 Chobani also offers Pumpkin Spice Blended yogurt, if you would prefer it without toppings. While fall weather is nice because it’s neither too cold nor too hot, it can also be difficult to find outerwear to fit the occasion. A vest is the perfect solution because it provides insulation while keeping your arms free so you don’t get too warm. Vests come in many colors and patterns, but your best bet is a neutral color (such as black, olive, or navy) so that you can incorporate it into as many outfits as possible throughout the season.